The President of India, Shri Pranab Mukherjee has conveyed his greetings and felicitations to his Majesty Paduka Seri Baginda Sultan Haji Hassanal Bolkiah Mu’izzadin Waddaulah Sultan and Yang Di-Pertuan of Negara Brunei Darussalam on his birthday which is on July 15. In his message, the President has said, “On behalf of the Government and the people of India and on my own behalf, I am extremely pleased to extend to Your Majesty warm greetings and felicitations on the happy occasion of Your Majesty’s 69th birthday. 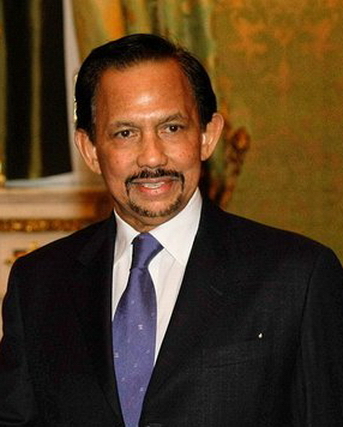 We wish Your Majesty all success in realising the aspirations of the friendly people of Brunei Darussalam. We are confident that the bilateral relations between our two friendly countries will continue to strengthen for the benefit of our two peoples in the years to come. Please accept, Your Majesty, my best wishes for Your Majesty’s good health and well-being and the continued progress and prosperity of the friendly people of Brunei Darussalam”.